The United States is home to more than 21 million veterans with more returning from active duty every day. A significant challenge facing these veterans is securing and retaining employment. As U.S. citizens, we need to recognize the value of having veterans as employees and coworkers and look for ways to reduce barriers that may deter veterans from building civilian careers. The Department of Veterans Affairs has identified several reasons why veterans have a difficult time finding jobs after leaving the military, including: translating military skills to civilian skills, negative stereotypes about veterans, concerns about being recalled and acclimation to the civilian workplace. On top of that, veterans with disabilities often find the re-entry challenges particularly difficult to overcome. While it is critically important that these challenges are addressed on multiple levels by communities, businesses, and the government, higher education institutions can also play a key role. Suggestions include conducting research to help better understand this complex issue, developing strong veterans' support programs at colleges and universities and helping veterans identify career paths that align with skills learned in the military. Colleges and universities serve an important role helping veterans reintegrate into civilian life and long-term careers. In fact, more than one million veterans are currently using their education benefits to pursue degrees in a wide variety of fields including: political science, business, engineering, math and life sciences. Many military veterans have experience in these areas, particularly the STEM (science, technology, engineering and math) fields. In our researched funded by the National Science Foundation (HRD #1245195), Dr. Eileen Trauth of Penn State University and I explored barriers that may deter veterans, particularly veterans with disabilities, from entering the IT field. We found that many veterans showed a strong connection between their military experience and being in the IT profession, and in particular the cyber-security field. The STEM fields and IT careers can provide an opportunity for veterans to pursue meaningful careers that align with skills learned in the military. This includes both hard and soft skills. Several participants in our study revealed that they had significant IT experience while serving in the military along with soft or transferable skills such as leadership, team work, attention to detail, and problem solving. The IT field can provide great opportunities for veterans to choose an occupational pathway that aligns with market needs. In fact, IT fields often have more job opportunities even during economic downturns. The low unemployment rate within the IT occupation (2.3 percent) often translates into higher salaries, as employers compete for IT graduates with the right skills and work experience. 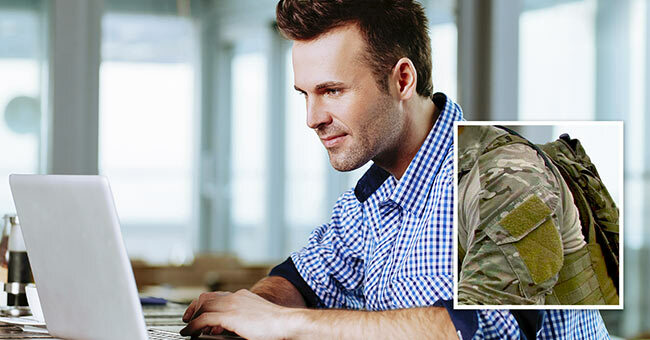 While military training provides veterans with the work experience and soft skills that are in high demand by the employers, further education, especially a formal IT degree, is often necessary to enter IT careers. Veterans can receive funding for higher education through several sources including: the Post 9/11 GI Bill, Veterans Retraining Assistance Program (VRAP), Workforce Investment Act and the Yellow Ribbon Program. Other programs like CompTIA's Troops to Tech Program is designed to help veterans who have an interest in IT obtain proper education, certification and job placement resources to be successful in the growing IT industry. As veterans attend colleges and universities, there is often a period of transition into the academic lifestyle. Programs offered through universities' Office of Veterans Affairs provide the opportunity for veterans to participate in activities and classes that help them transition into the academic community, identify career paths, and locate potential employers. Job placement programs offered through the Office of Veterans Affairs are particularly helpful for students for a variety of reasons, including close relationships with local companies and the ability to translate skills learned in the military into civilian terminology. While research can provide insights about the forces that facilitate or impede reintegrating veterans into the workforce, implementing strong veterans' programs on college campuses nationwide and attracting more service members to the IT field are important to help veterans transition to civilian life. Business owners and community members can facilitate this process by supporting campus veterans' programs and hiring qualified veterans to fill IT positions.